5. If you have brought your luggages, please arrive 10 minutes earlier to put your luggages in the classroom before heading to the market tour. Wednesday and Friday cooking classes are recommended for vegetarians. In the case of food allergies, please leave a note when making reservations. 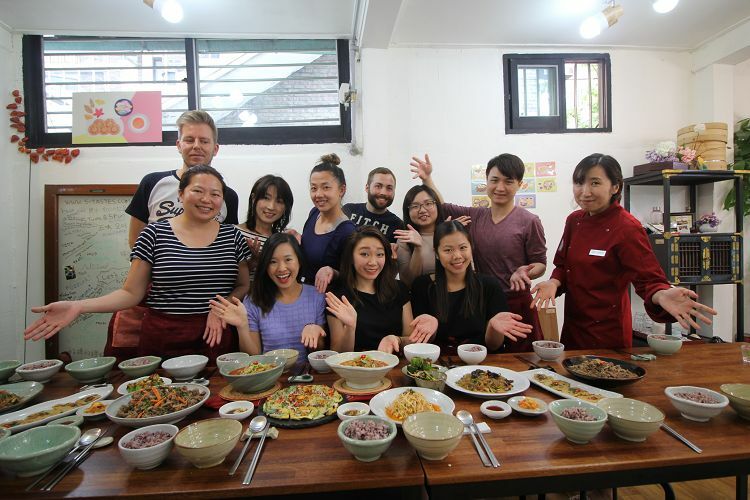 OME Cooking Class is recommended for those who want to understand Korean Food Culture from the ingredients and learn how to cook Korea Food. Take a tour of Korean traditional markets and enjoy Korean ingredients with both your eyes and mouth. It will be a great opportunity and time for you to make Korean Food with people from various countries and build unforgettable memories. If you want to drink and make new friends, how about Chi-Maek Class? OME of OME Cooking Lab is derived from the world “오미,” meaning 5 tastes, which are sweetness, sourness, bitterness, saltiness, and hotness. Try OME Cooking Class and enjoy 5 kinds of taste and fun. The cooking class that starts with touring through and purchasing ingredients from the local markets and that you can make Chicken, Korean No.1 snack, yourself are offered. Chi-Maek, a combination of chicken and beer, has already become famous over the world! Why don’t you make the Anjoo, Korean drinking snacks, eat chicken, and drink alcohols with others? 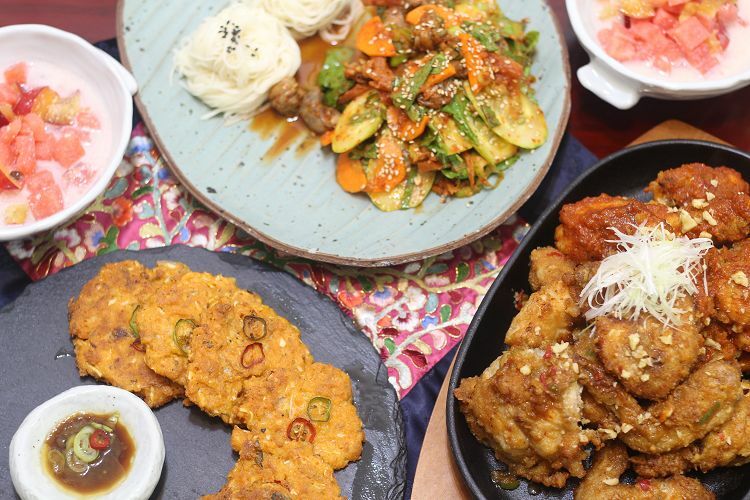 This is a special cooking class, where you can learn how to make chicken, Korean pancakes, and anjoo and taste Korean soju, beer, and makgeolli. • This class is available for the age of 19 and above. This is a cooking class where you buy ingredients directly from Korean traditional market and cook them yourself. 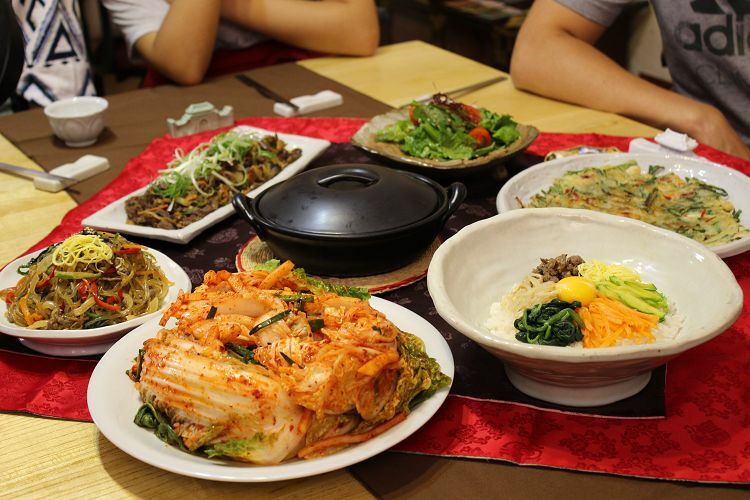 This experience can only be done in Korea, and even vegetarians can also enjoy it. By using traditional medicinal herbs and seasonal ingredients, the class will make more than 5 dishes, main and side dishes, in total. 4. Enjoy food with altogether. 4. Present voucher and enjoy. 1. Please arrive 5 minutes before the reservation time on the day of reservation. 3. Companions are not allowed. 4. Please input the additional information for the trip. A blank form will be considered to be available for all food ingredients. 5. Wednesday and Friday's cooking classes are recommended for vegetarians. 6. If there are less than the minimum number of people, the reservation can be canceled, and our CS Team will e-mail you. 7. Only English lessons are available until 15 June. Q. 1. I am allergic to certain food. What should I do? A. We are receiving information for people who cannot eat a certain kind of food. We will notify OME, so please input the additional information for the trip. A blank form will be considered to be available for all food ingredients. Wednesday and Friday's cooking classes are recommended for vegetarians. 2. I cannot eat a certain kind of food. What should I do? Q. I might be late for the meetup. What should I do? A. If you are late for the meetup, please contact below. If you are late without contact, you may not be able to experience it.